Bauer Supreme S170 Junior Composite Goalie Stick | Sports Etc. 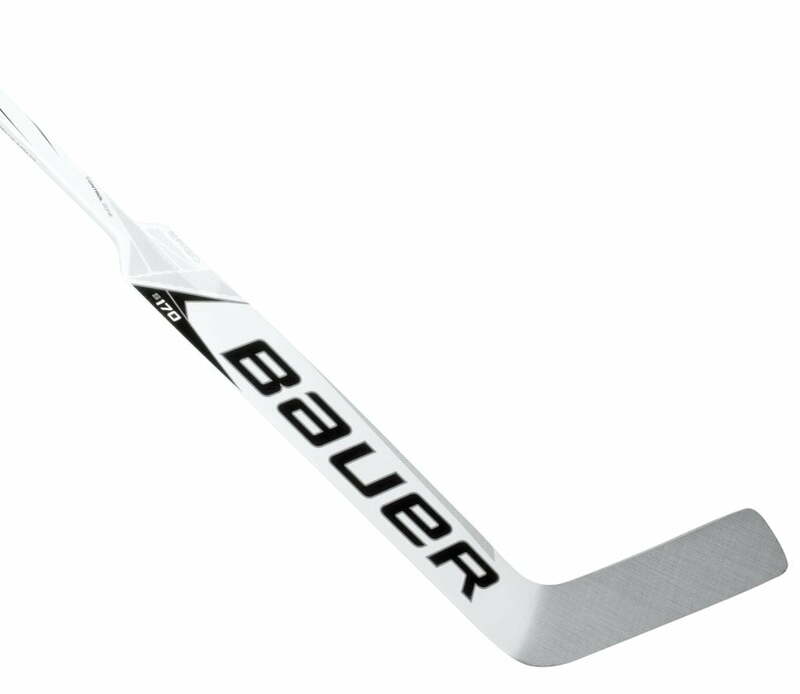 The Bauer Supreme S170 composite goal stick is designed for butterfly/blocking style goalies, who tend to keep their hands tight to the body when making saves. Its patented ergonomic paddle/shoulder geometry “pushes” the paddle away from the body slightly so that it can seal closer to the pads and body when making a save. The 2016 Supreme line paddle heights are now consistent with other major goalie stick brands (old Bauer 22.5″ = New Bauer 21″). Sports Etc Performance To Value Rating– 8 out of 10. The combination of lightweight feel and durability have made composite goalie sticks increasingly popular. Good for all skill levels.